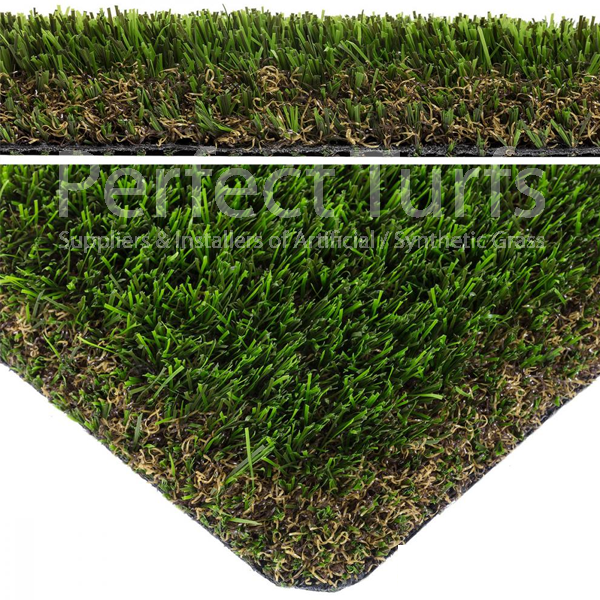 Perfect Turfs Spring 30mm is a excellent range of grass and is suitable for all locations. It has a mixture of two greens, light and dark with a natural looking beige & brown thatch curl. Extremely dense and luscious green appearance.